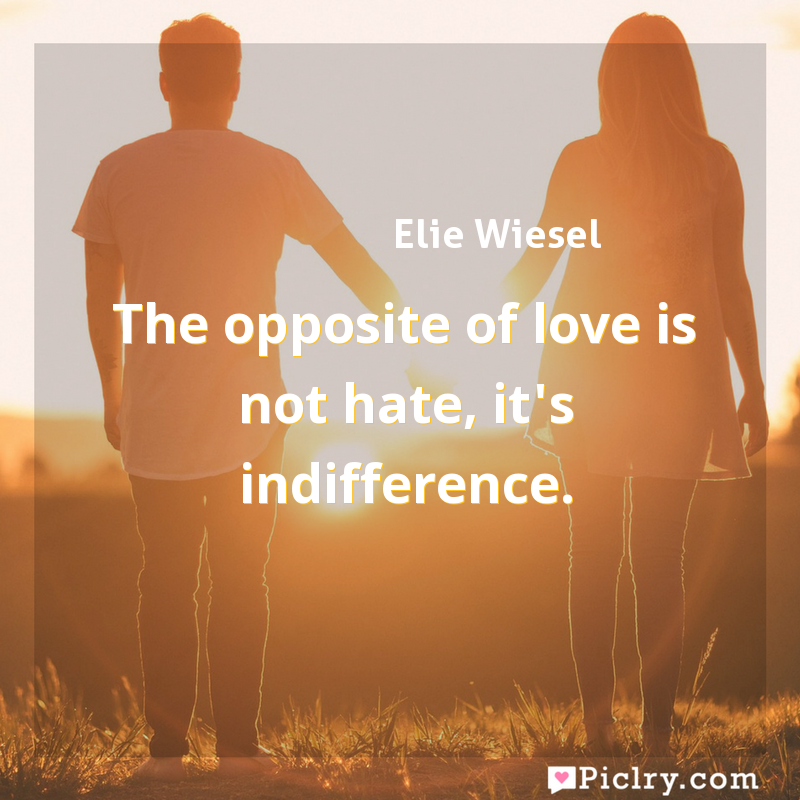 Meaning of The opposite of love is not hate, it's indifference. Meaning of The opposite of love is not hate, it’s indifference. Quote by Elie Wiesel. Until we heal the root cause of our suffering, and awaken to our true nature, our inherent confusion will continue to manifest itself in the world around us.